One Of Our Favorite Events Is Back! Eighteen craft brewers serving over 75 special and rare Texas-born beers plus live music and sunshine, all to support local non-profits, Austin Sunshine Camps and the Young Men’s Business League. This is our kind of event! Our official festival design showcased two thirsty armadillos doing the only thing they can to beat the Texas heat – sharing ice cold, tasty Texas pints. 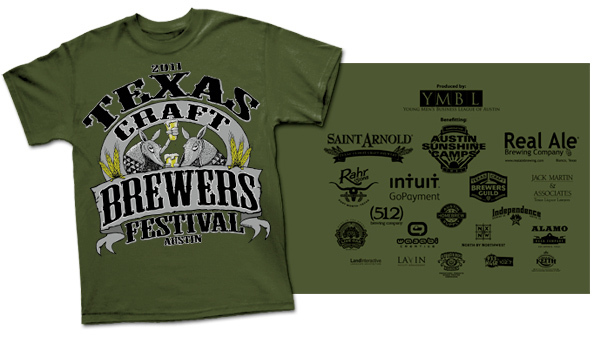 Other Outhouse Designs printed tees were spotted throughout the day as well – 512, Independence and Spoetzl Brewing Companies – thanks for making us look so good!